To achieve the goals set forth in our mission statement, we consistently research the latest marketing trends to provide our clients with the freshest marketing tactics available. 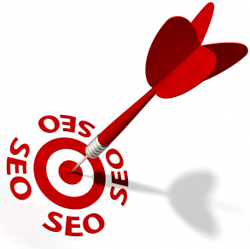 These fresh, new tactics in search engine optimization give our clients the edge they need to stay ahead of their competitors. Conversely, keeping abreast of the latest marketing trends also allows us to tweak our clients’ campaign to reflect those trends at anytime, thereby maximizing its effectiveness. Additionally, the team at Digital Presence Solutions brings over twenty years of combined experience in Search Engine Optimization (SEO), Search Engine Marketing (SEM), Social Media Optimization(SMO), Computer Science and Information Technology to the table. Our IT backgrounds and marketing experience blend together to create the perfect formula for developing effective SEO strategies that convert into sales. Our varied backgrounds enable us to interact with those in the technology field as well as those in the business sector, which creates that ‘happy medium’ required to be successful in both sectors. We realize that your success is also our success and we pull out all the stops when it comes to helping you reach your marketing goals. We put our skills and experiences to work for you by increasing the visibility of your website and opening doors to new markets that were not available to you before. Our efforts do not stop once your web traffic starts. Conversely – that’s where the real work begins. The next challenge we help you overcome is converting those clicks into clients by ensuring that visitors to your site are interested, engaged and compelled to answer your call to action. The team at Digital Presence Solutions is very thorough in what we do and we pride ourselves on creating successful online marketing campaigns that bring the absolute best and most profitable results. Online marketing can be an volatile industry. With this in mind, our campaigns are designed to adapt to changes in both your business and the current marketing trends to ensure that your website ranks above the competition time and time again, regardless of fluctuations in the industry.